Are you shopping for some Progressive Rock? In the local music supermarket [EDITOR: I don’t think that’s a thing. I think I’d know if musical supermarkets were a thing that existed] you need to look carefully. You might even have to ask someone who works there, but hidden at the back there may be the Prog section. Sometimes, Prog bands come in several varieties but not necessarily in value packs of ten. Then you need to know the variety that you want. As a fan of any specific music genre this is the challenge you must face. This is not the dilemma faced by some bands. That’s a little different to my definition but it is as good as any. At over fourteen minutes, track one fits the criteria well. There are tempo changes and changes in time signature. 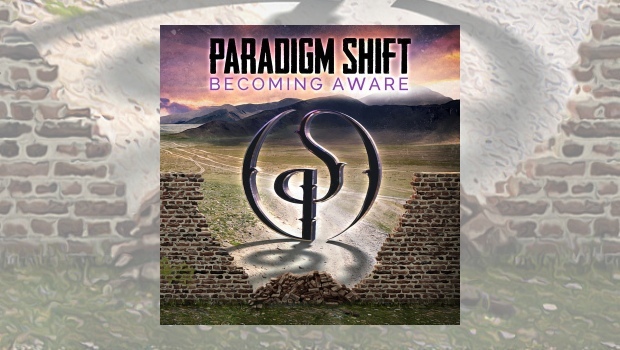 It is a series of different musical segments strung together into one song, making it more complex than your good old verse/chorus/middle-eight/chorus/ad-lib-to-fade song and there are some interesting vocal techniques and harmonies – which makes it Progressive Music according to progmetal.net. This feels very much a set of songs and segments with their roots in a piano rather than coming from guitar. This gives the album less of a Prog-Metal vibe but also makes it feel somewhat less of an ensemble band effort and more a band that is supporting a pianist. Track four is a case in point here, with The Shift starting with a riff that initially made me think of Keith Emerson. As the song unfolded I was thinking along the lines of ‘Rick Wakeman plays Elton John’. “An expert in the Prog field, Rob is one of the premier guys you want to be recording with”. It was mastered by Acle Kahney from the band TesseracT. This is well played, mostly piano-centric music of the kind that will not disappoint people looking for long arrangements and vaguely theatrical sounds. With Prog as your chosen shackles I think it must be extremely difficult to constrain yourselves to that genre. Then there is a potential for, at best, making songs seem unnecessarily long and at worst, stringing together a series of musical clichés. I would undermine any credibility I might have if I were to say that I fell in love with this album. That it isn’t for me isn’t necessarily a bad thing. I’d probably have much too big a music collection were I to be more indiscriminate, but more importantly – more often than not my first impressions are not representative, neither are they fair and objective. I’m really fussy and truth be told I like a few Progressive Rock bands rather than Prog Music. My initial exposure to Becoming Aware is that the elusive and undefinable elements that grab my attention and make me want to keep listening are, erm, elusive. Picking a 15 minute track as the opener to a debut album is a bold stroke to pull. Frankly, A Revolutionary Cure, while falling short of being musical cliché, felt to me as if it was padded out to 15 long minutes. I think this might be one of the first songs that the band developed where they stood back and thought: “That is what we were aiming for…NAILED IT”! Indeed, had it flowed from one part to the next it could have been an epic quarter-hour song. Its components would have made this inevitable. Instead I was left wondering why it went on past the rather climactic 10th minute. I still think Prog fans will bloody love it! By contrast, I enjoyed Reunification the most, particularly the interplay between the guitar and rather Geddy Lee Rush-u-like keyboard in the middle section. It is still a long track but feels more like the ensemble effort that I felt was missing on earlier songs. I’d like to know if it was a newer song than A Revolutionary Cure. The whole song sounds as if it just streamed out of the band, effortlessly. When the middle section fades away and the sampled monologues with piano accompaniment come in the piano felt like it belonged there. No longer intrusive and overbearing, it gives way to the next section which feels uplifting. All in all Reunification constituted a quite beautiful and swift 9-minutes. I wouldn’t kick that track off the player if it came on randomly in my playlist.